Find out who’s who in the world of PLM. Knowing the PLM solution landscape is vital for any retailer, brand or manufacturer in our industry. Here you’ll find key vendors of PLM software, both large and small. Those vendors who have undergone a formal, deep dive evaluation from WhichPLM can be found at the top of the list, with other players underneath. Lectra is the world leader in integrated technology solutions that automate; streamline and accelerate product design; development and manufacturing processes for industries using soft materials. Lectra develops the most advanced specialized software and cutting systems. Visual Next develops End-2-End software solutions for the fashion market. Gerber Technology develop the YuniquePLM solution; tailored for the needs of the fashion industry. In today’s fast-moving world, communication is critical to keeping pace with shifting consumer tastes, preferences and expectations. Aptos PLM and Supply Chain Management ensure that communication between you and your key partners is carefully orchestrated throughout the entire merchandise lifecycle. Bamboo Rose is the leading multi-enterprise product innovation and supply chain platform connecting the retail community to discover, develop and deliver products @ digital speed. Centric Software provides innovative software for the most prestigious names in fashion; retail; footwear; luxury and consumer goods. DeSL is the complete software solution for fashion product lifecycles now and in the fast-changing future. Enterprise level. Web-based. 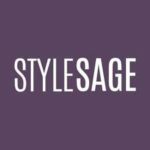 Founded by fashion industry experts. PTC develops the industry-leading FlexPLM solution for a range of markets. 1trueid enables the most cost effective and secure digital identity to every object, cost free for individuals; this is how the “Social Network of Things” comes to life. Former retailers and planning executives, transforming merchandise planning & execution in RFA. Solutions span across key channels: Retail, wholesale, eComm. Akeneo is the Open Source PIM company focused on the marketer’s needs. More productivity, faster product offering expansion and accelerated time-to-market, Akeneo PIM radically improves product data and simplifies catalog management. Their enterprise platform is the most agile and scalable. Alvanon’s fully integrated fit platform combines the world’s largest database of body scan research with high-level industry experience. Analyse2 is the leading provider of merchandise planning & supplier collaboration solutions in the Nordics. Their main offering manages: assortment, price, campaigns & promotions. AI is a global leading quality control and compliance service provider that partners with brands, retailers and importers around the world to secure, manage and optimize their global supply chain. AVA CAD/CAM has been providing specialist design & colour software, support, training and technical consultancy services to the decorative printing industry for more than 25 years. Avametric’s software platform provides automated content creation for brands, retail & e-commerce sales tools, and increased efficiency in garment design & development. By working on both enterprise-facing tools for design and consumer-facing tools for virtual fitting rooms, the software transforms visualization experiences in fashion and brings traditionally physical experiences to the virtual space. Avery Dennison is a global leader in pressure-sensitive and functional materials and labeling solutions for the retail apparel market. They serve customers in the consumer packaging, graphical display, logistics, apparel, industrial and healthcare industries. Awear Solutions introduces a smart tag technology that enables fashion brands to discover, engage and even mobilise their consumers, and reward them for being their real brand ambassadors. Bring them together, and great people make great products. BeProduct is built for both. A new kind of fashion PLM platform, made by people passionate about product. And a smart social space, designed for creativity and collaboration. Body Labs, Inc. collects, digitizes, and organizes data and information related to human body shape, pose, and motion. The company focuses to transform the human body into a digital platform based on which goods and services can be designed, produced, bought, and sold. Bold360 is the ultimate engagement solution delivering the richest customer profiles and fastest time-to-value. By leveraging the power of A.I., Bold360 helps personalize and enhance every engagement – no matter where it takes place – allowing companies to deliver better and more consistent customer experiences seamlessly across both A.I. and agent-based interactions. Bold360 delivers groundbreaking intelligence with out-of-the-box simplicity and helps agents do what they do best – be human. Browzwear brings the power of 3D to fashion design; development; marketing and collaboration with three easy-to-use products. bullmer is a specialist in and supplier of innovative cutting technology and is one of the leading companies in its industry. bullmer machines stand for trendsetting manufacturing solutions that achieve the highest levels of efficiency and productivity. Bynder is the fastest way to professionally manage digital files. It provides one central hub for all company materials and messaging. C-DESIGN® is a creative and innovative software house, specialising in developing, marketing and supporting creative software solutions for the textile industry. The mission of C-Design is to provide all players in the textile industry with effective technologies, and innovative tools. Cloud-based predictive analytics SaaS platforms helping retailers optimize their overall inventory portfolios in stores and across the supply chain. Digital color matching, simplified and efficient. Coloro is the revolutionary color system created with the user for the user, ensuring creative confidence. We decoded color as the human eye sees it and created the most logical color system. faizod is a leading solution and service provider for blockchain technology as well as modern enterprise software solutions. Fit3D’s patented, highly accurate, and self-guided 3D body scanning solutions have helped Fit3D to become the largest and fastest growing non-invasive 3D body scanning company in the world with 1,100 systems currently available in 45 countries. G.PRO Shopfloor Data Tracking (SDT) is a real time shop floor data collection and feedback system designed specifically to meet the production control and management needs of the apparel industry. GSD provides industry-leading methods analysis and productivity improvement solutions. Hyphen-Italia has designed and developed IT solutions, systems and software applications since 1998. They offer solutions such as; Cross-media systems and applications for Corporate, Brand and Product marketing communication as well as the publishing market. IDTEX are leaders in Italy dedicated to encoding, traceability and 100% certification of finished product. Established in Hong Kong in 1987, iGarment is the first and leading cloud computing service provider to offer one-stop management system solutions in the apparel industry. The issue of a proper size selection of shoes and clothes when buying online is a major obstacle to the dynamic development of the online market of clothing and footwear, and the cause of distrust towards online shopping among consumers. Imigize has created a digital service that allows you remotely, with high precision to try-on shoes and clothes from online stores. The innovative technology of Imigize contactless fitting makes the concept of “size” irrelevant to online shopping, allowing, based on 3D anthropometric data, purchase these products with convenience and ease. They convert all the online stores into one decentralized system of data exchange, with universal profiles of buyers protected by the blockchain technology and tokens as a reward for direct interaction between online stores and customers. Impactiva is the world’s leader in Process Optimization, QM & QA/QC for the leather, footwear, leather goods, outdoor gear and apparel industries. Intelex Technologies Inc. is a global leader in the development and support of software solutions for Environment, Health, Safety and Quality (EHSQ) programs. Intelex ensure more than 1,000 clients and over 1 million users across the globe. Just Enough has two decades of experience in developing user interfaces that make it simple to forecast demand, plan assortments and inventory, allocate and replenish products and place orders. Kensho is a startup deploying scalable machine intelligence and analytics systems across the most critical government and commercial institutions in the world to solve some of the hardest analytics problems of our time. LUXSENS is an AI technology company connecting luxury merchants to consumers. Their product is the global price index of luxury brands powered by AI. and they have more real time product data than any other luxury platform. Mode.ai is in the business of building artificial intelligence powered by B2B2C visual bots for conversational shopping. Mojix is a pioneer in the RFID and sensor network space. They provide wide-area RFID systems, which are built on patented long-range location technology, real-time IoT software platform solutions, cloud and mobile development services for IoT applications. NedGraphics enables its clients to improve their sales through minimizing “time to market,” optimizing product development flow and reducing sampling costs. Each software solution is offered in a fully integrated modular system to guarantee the current and future operational performance. Obsess is an AR and VR platform for mobile shopping. Their 3D Commerce Cloud enables brands and retailers to run visual, immersive, fully interactive shopping experiences on their own apps and websites. 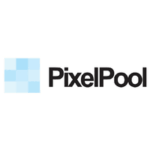 PixelPool empowers the fashion industry, making brands more agile, sustainable and cost-effective through virtual technology. Pointcarre provide the only Textile CAD native Mac & PC ; broken down into modules : Print; Knit; Weaving and Mapping. YuniquePLM and Pointcarre have integrated their softwares. Provenance is a platform for transparency. Each provenanced product comes with a digital passport: information and stories about who made it, where and out of what materials. REACH Technologies, a leader in business technology solutions for the global soft goods industry, offers pre-packaged products, custom solutions, business process outsourcing (BPO), consulting services and offshore development facilities. Reactive Reality’s augmented reality (AR) engine enables users to experience a wide range of products before buying them. Our technology allows users to immerse themselves into AR scenes with apparel, objects and landmarks, and furnish and decorate their own places. Resilient.World is founded upon decades’ worth of supply chain management and operational risk mitigation experience with Fortune 500 companies, governmental and non-governmental organisations. Operating through a curated partner network, we provide comprehensive CSR services from research and auditing, to crisis communications, training, and executive education – all tailored to provide actionable insight into every link in the global supply chain. Review Studio allows users to streamline and manage all customer reviews from Google, Amazon, Wal-Mart, Google Play, Apple App Store, Facebook, Yelp, TripAdvisor, Trustpilot and Glassdoor directly from within their Salesforce Service Cloud. Review Studio also helps visualize trends and manage a brand’s reputation. Users can automatically filter reviews by product, app, or location. Richpeace Group was founded in 1993. Their main products are “4G sewing machine” series, Computerized Embroidery Machine series, Computerized Quilting Machine series, Computerized Cutting Machine series, Automtic Fabric Spreading Machine series, Flat-bed Cutting Machine series, Graphic Plotter series, Laser Cutting and Engraving Equipment series, Textile and Garment CAD software systems for different designs and production applications. A global leader in development of CAD/PDM software solutions for the footwear, leather goods and furniture manufacturing industries. RCS utilises the most up-to-the minute IT technology to provide the highest quality software and related services to its customers. SATRA is an independent research and testing organisation established in 1919. It has technical facilities in the UK and China serving customers throughout the world. As well as testing products and components to European and international standards across a wide range of industry sectors, SATRA develops, manufactures and sells test equipment. SATRA is a Notified Body for various European directives including personal protection equipment (PPE), which is one of SATRA’s largest sector operations. SATRA has its own chemicals analysis laboratory for testing restricted substances in accordance with European REACH, and US chemicals regulations for which it is CPSC-accredited. SECOO is a leading online-offline premium lifestyle platform. They have the number one market share premium online retailer in China. SECOO also owns the largest luxury authentication team and the largest database of authentication in China. 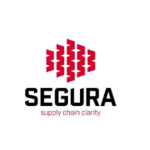 Segura combines digital expertise with detailed knowledge of global supply chains to create a simple-to-use supplier compliance business solution. They help businesses understand, monitor and control every layer of their supply chain, enabling them to mitigate risk and save money. Sew Co. is an industrial manufacturing facility. Our skilled and experienced team can cut, sew, press and package any sewn good. We pride ourselves on quality craftsmanship and care for the fabrics we use and the objects we create. Our clients appreciate our transparent practices and communicative nature. 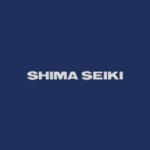 With its “All in One” 3D design system at the core, SHIMA SEIKI offers complete solutions for the apparel supply chain from planning to production and sales support. Also in its lineup are a full range of knitting machines, cutting machines and inkjet printing machines, all with high user confidence based on years of experience and know-how. Shoemaster® platform is offering an innovative range of 3D and 2D CAD/CAM systems for shoe design, production and costs control, custom made, as well as solution for the leathergood market. ShoeSize.Me empowers your footwear e-commerce to finally sell shoes online in the right size. Exclusively focused on footwear, the Size Advisor® is based on big data and designed specifically for footwear brands and retailers. Proven to significantly increase net revenue and lower product return rates. The intelligent technology is backed by the world’s largest (and ever-growing) database of footwear-specific product information and real customer feedback, to provide the most accurate shoe size recommendations on the market. The long-term vision is to digitalize and normalize the product data of the footwear industry, globally. Size Stream is a leader in 3D body scanning technology. 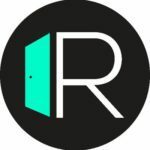 They are one of the only medically approved 3D body scanners in the world, and cater to apparel, health & fitness, medical & physiological research, and 3D printing. SPG Print’s focus is to enable textile printers to use digital technologies to achieve higher standards of quality on the widest range of fabrics, maximising uptime, and giving customers the flexibility to bring ideas faster to the market. Stibo Systems, the master data management company, is the trusted source of MDM solutions based on a unique business-first, people-centric approach. Our solutions are the driving force behind forward-thinking companies around the world that have unlocked the strategic value of their master data; empowering them to improve the customer experience, drive innovation and growth, and create an essential foundation for digital transformation. Developed by the Sustainable Apparel Coalition, the Higg Index is a suite of tools that enables brands, retailers, and facilities of all sizes — at every stage in their sustainability journey — to accurately measure and score a company or product’s sustainability performance. The Higg Index delivers a holistic overview that empowers businesses to make meaningful improvements that protect the well-being of factory workers, local communities, and the environment. Techzen Science & Technology is the first owned enterprise of self-developing garment production management system in China. Tecla is a leader in implementing solutions and integrated projects for digital business and real-time web-based technology, internet, intranet and mobile.eCommerce, collaboration and web experience are their specialties. Textile Today is a regular publication of Amin & Jahan Corporation Ltd. It’s a comprehensive magazine for textile, apparel & fashion industry. From its inception Textile Today has already created a good impression and strong reputation in global market. It has already published number of research papers, technical articles and market reports. Textile Today is working to guide the industry so that policy makers can make their decisions fast & easy. Timereaction is a collaborative workflow platform that allows your development and production teams to more efficiently manage their communication and workflow across the supply chain without the need for emails or spreadsheets. TimeSSD is always a reliable software solution at hand that makes it easy to establish and share the right allowed minutes for your working method. TUKAcad (from Tukatech) is an innovative apparel pattern design software that is perfect for manufacturers and designers of any size. TUKAcad allows users to accurately build patterns, grade rules and markers for single styles or entire lines. In just a few seconds, Vitronic’s VITUS BODYSCANNER delivers high resolution and true to scale 3D color scans of people for 3D printing of lifelike figurines. Vizoo is a pioneer in the field of 3D material data acquisition. We are a creative and ambitious team of people located in Munich, Germany, and together with international partners, we help fashion and automotive companies to create photorealistic content for design and marketing. Vue.ai (from Mad Street Den) is the world’s only end-to-end artificial intelligence stack for brands and retailers. Vue.ai’s product suite contains solutions for merchandizing and operations, the ecommerce site and app, to marketing. Webcollage is a leading cloud-based platform for the publishing of rich product content and syndication across retailer sites globally. From conception to completion, Webdam helps marketers and creatives tell their brand stories. Their cloud-based platform makes it easy to organize, use and share the creative assets at the heart of impactful experiences. X-Rite is the global leader in color science and technology. The company, which now includes color industry leader Pantone, Inc., develops, manufactures, markets and supports innovative color solutions through measurement systems, software, color standards and services. X-Rite’s expertise in inspiring, selecting, measuring, formulating, communicating and matching color helps users get color right the first time and every time, which translates to better quality and reduced costs. X-Rite serves a range of industries, including printing, packaging, photography, graphic design, video, automotive, paints, plastics, textiles, dental and medical.